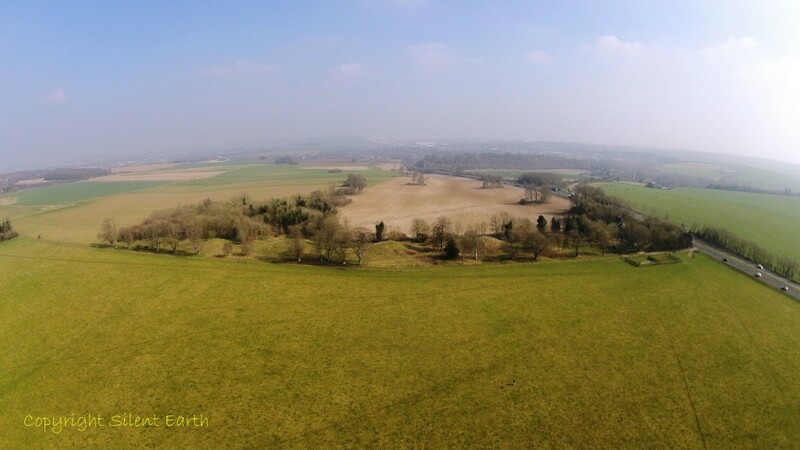 This year my interest in the prehistoric sites of Britain has opened up ‘the view from above’, more by chance than design. 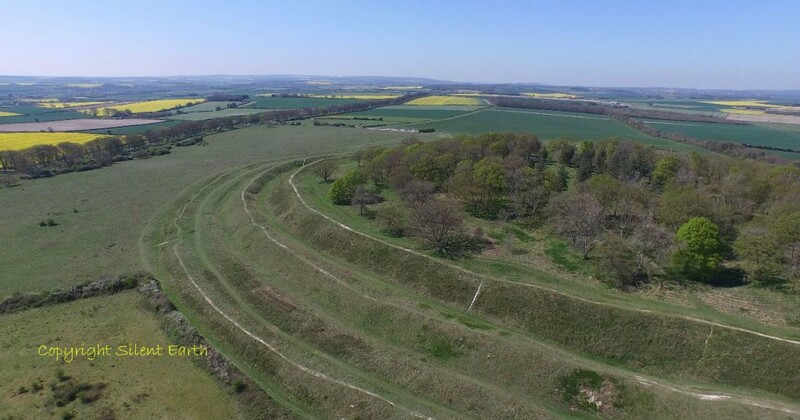 The result has been an ongoing joint film project with Pete Glastonbury and a close working relationship with the aerial photography company CamAero based in Dorset The photograph above is Badbury Rings Iron Age hill fort in east Dorset. During the Roman era, five Roman roads formed a complex junction on the north side of Badbury. 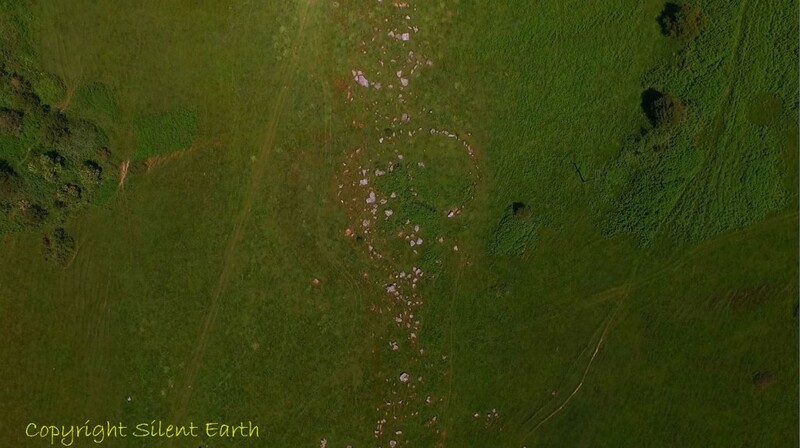 Aerial footage seems to further reveal the sheer scale of the achievements of our prehistoric ancestors. The Badbury barrow carving in the British Museum, described by Aubrey Burl as ‘carvings of five cupmarks, two bronze daggers and two flat, triangular axes of early Breton type’, is an object I find endlessly fascinating. It is described in more detail here on The Northern Antiquarian. 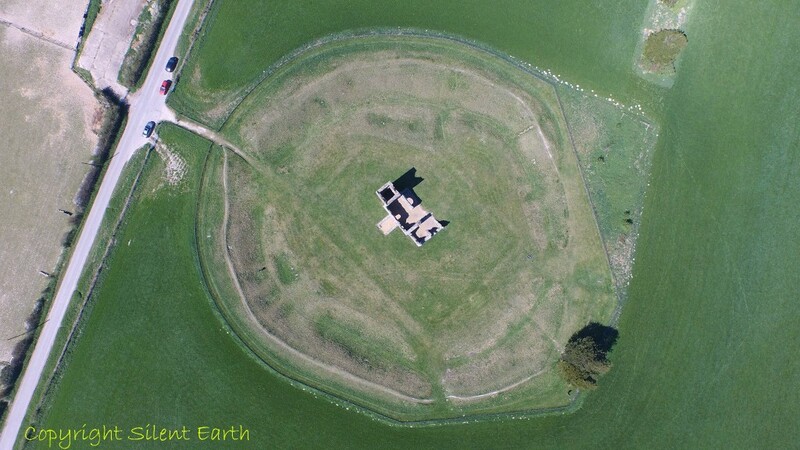 There are at least two other henges in the vicinity of Knowlton as well as numerous barrows, part of a cluster of Neolithic and Bronze Age activity in Dorset. 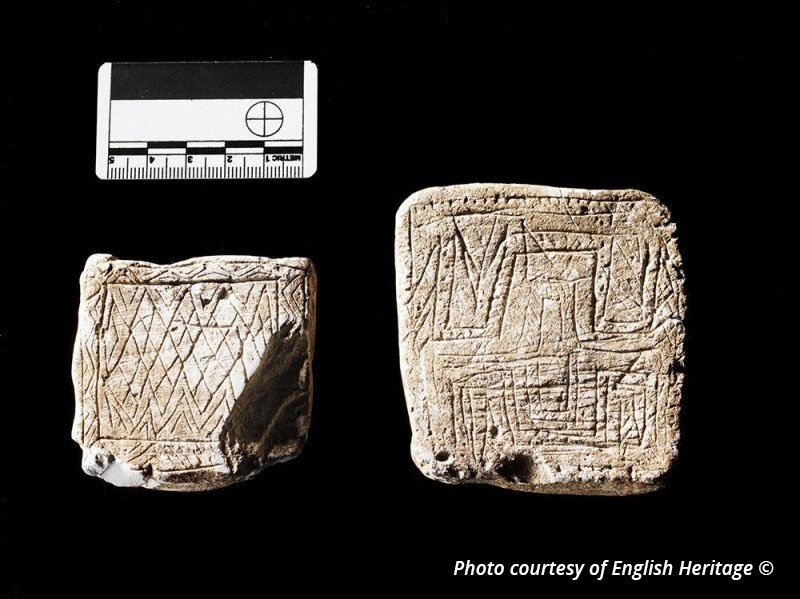 In the late 1960s, Major H.M. and Mrs. F. De M. Vatcher discovered two incised chalk plaques between King Barrow Wood and Stonehenge Bottom. 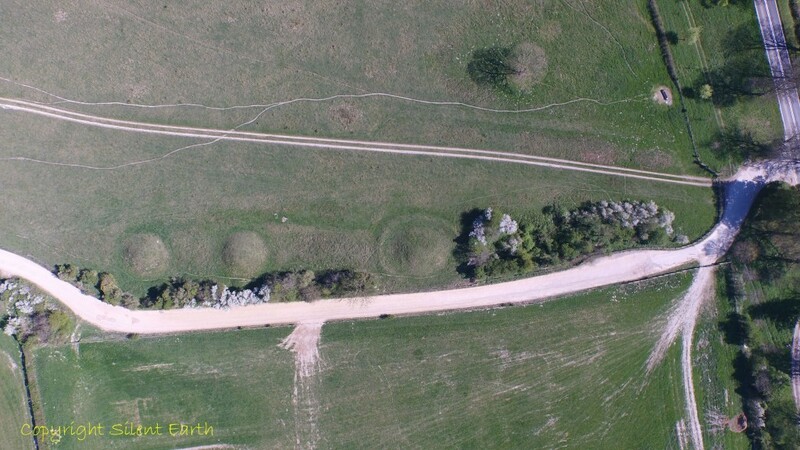 They were found during the widening and lowering of the A303 road near Stonehenge in the chalk of the verge on the north side of the carriageway, 211 yards west of the wood. The larger plaque is approximately three inches square and seven-sixteenths of an inch thick, found near the base of the pit at a depth of a little under two feet from the surface. The upper part of the ditch filling was empty of finds and compacted, consisting of red-brown soil and fine chalk nodules. An antler pick sat on top of the lower layer near a small scapula, thought to be that of a sheep. 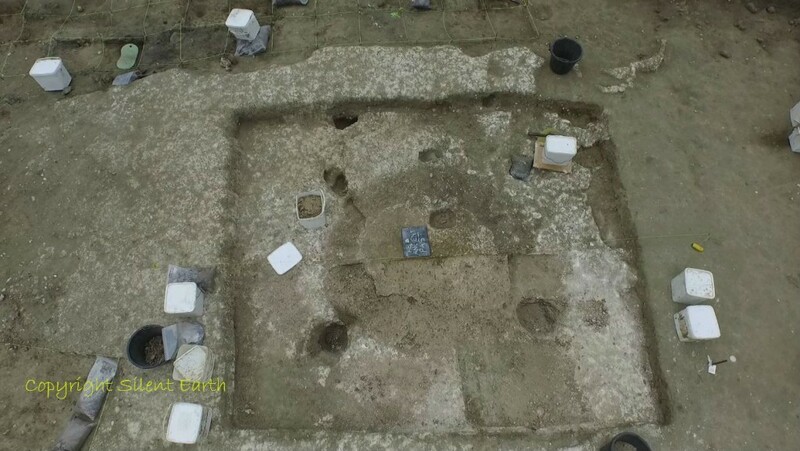 Sherds of grooved ware and various animal bones were found throughout the lower layer. A number of small grooved chalk lumps were also found. Two radiocarbon dates place the material in the early third millennium BC, amongst the earliest dates for grooved ware in Southern England. These two plaques now form part of the permanent exhibition at the Stonehenge Visitor Centre, which opened in December 2013, and are dated by English Heritage at between 2900 BC and 2580 BC. Bath and Camerton Archaeological Society observations of possible Megalithic structures in the Valley of the Stones can be seen here.